The power of Christmas derives from the appeal of its repeated rituals, the presumed antiquity of its traditions, and its ability to adapt to changing cultural conditions. Christmas cards seemed inevitable and ubiquitous, but in recent years the genre has been visibly in decline. It is now evident that the Christmas card was a culturally specific artefact, a distinctive way in which a fundamental human gesture could be expressed within a commercial, materialistic, and rapidly changing society. 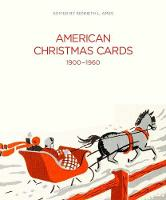 This stylish book explores the imagery, graphic forms, subject matter, and significance of Christmas cards in their chronological timeframe to reveal an important area of American material culture. There is much to surprise and delight. 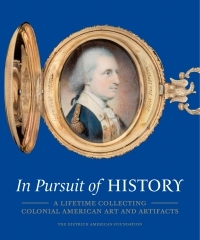 Kenneth L. Ames is professor of American decorative arts at the Bard Graduate Center. He is the author of Beyond Necessity: Art in the Folk Tradition and Death in the Dining Room and Other Tales of Victorian Culture, and editor of Victorian Furniture.